Reed pen and brown ink, with brown wash and some opaque white (now oxidized); framing line in graphite. Inscribed at lower right, in brown ink (with the museum’s Dyce inv. no. ), <i>432</i>. Inscribed on verso of mount, in a nineteenth-century hand, in pencil (with Dyce’s original inv. no. ), <i>785</i>. 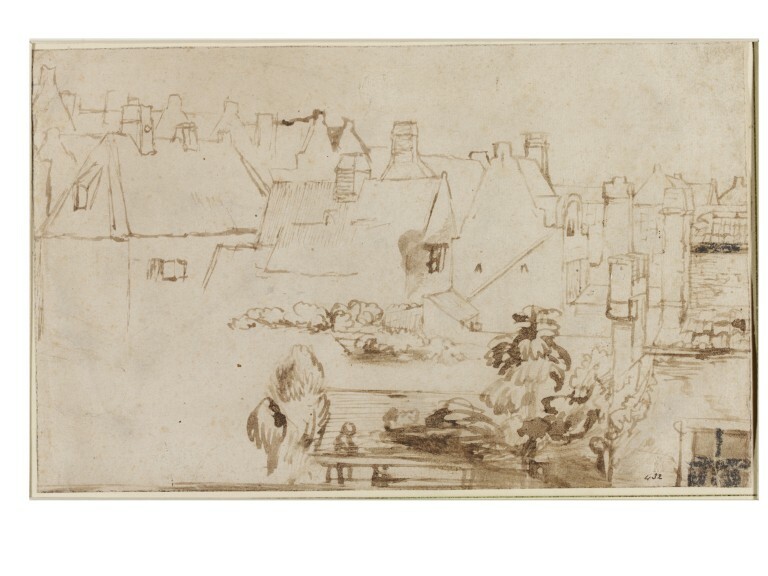 Study of the tops of houses in a town, a stream and a wooden bridge in the foreground; Pen and bistre, in outline, drawn with a reed pen. Reed pen and brown ink, with brown wash and some opaque white (now oxidized); framing line in graphite. Inscribed at lower right, in brown ink (with the museum’s Dyce inv. no. ), 432. Inscribed on verso of mount, in a nineteenth-century hand, in pencil (with Dyce’s original inv. no. ), 785. Provenance: Rev. Alexander Dyce (1798–1869), London, by whom bequeathed to the museum (L. Suppl. 153b), 1869. 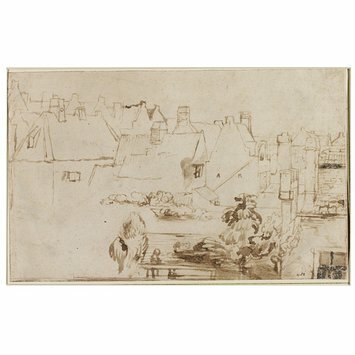 Hoogstraten, Samuel van (attributed to); View over the rooftops of a town seen from across a canal, a stream and a wooden bridge in the foreground; Pen and bistre, in outline, drawn with a reed pen; Dutch School; 17th century. 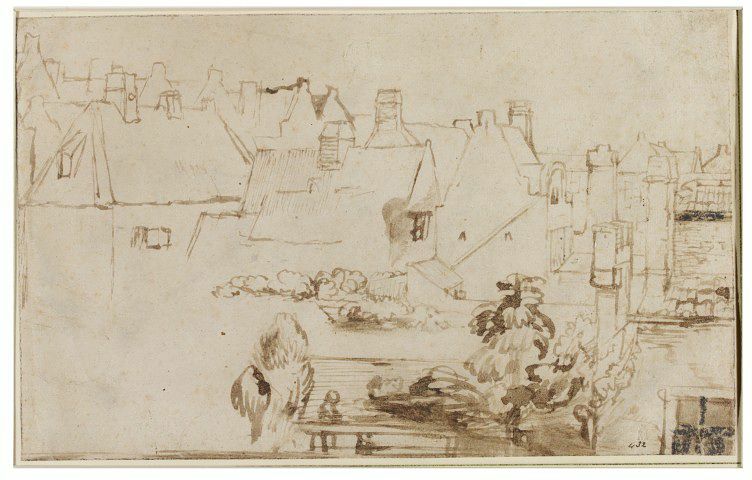 Jane Shoaf Turner and Christopher White, Catalogue of Dutch and Flemish Drawings in the Victoria and Albert Museum, London, 2014, Vol. 1, Cat. 86, illustrated.